Many of our social behaviours have been built and altered by our attitudes towards reproduction and the methods of passing our genes on to the next generation. Technologies frequently manipulate this most basic of human instincts to produce new ways to sexually interact with one another. Our authors consider the future of courtship, contraceptives, conception, childbirth, and some of the things in between. 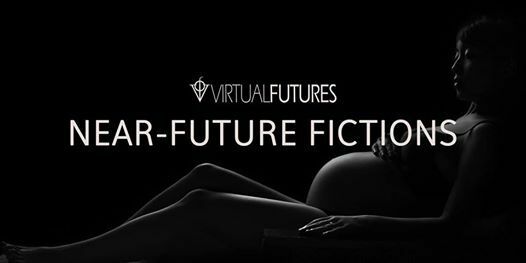 Join us for an evening that incorporates original reading, performance and live art as Virtual Futures continues its mission to reassert the significance of science fiction as a tool for navigating the increasing technologization of society and culture. Over the past couple of years Dr Christine Aicardi has been researching science fiction as a force to help shape the science of the future and will be talking about her findings and considering questions such as: whose views get to be represented in the decisions that are shaping our collective tomorrow? Christine is a Senior Research Fellow in the Foresight Lab of the Department of Global Health & Social Medicine at King's College London. She originally trained as an engineer in France and worked for many years in the tech industry before returning to higher education to pursue PhD in Science and Technology Studies at University College London.